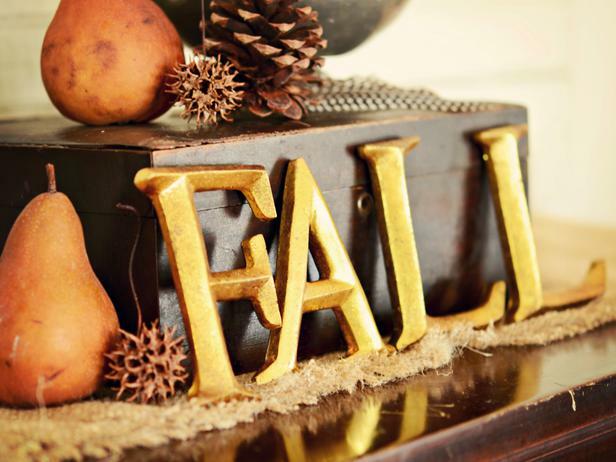 With Thanksgiving around the corner there are so many ways to bring the fall spirit into our homes! Looking around I found a few inspirational designs I'm thinking of incorporating around my home! I love a more rustic feel don't you? These golden letters are fabulous (always a fan) and the cute gumballs, pine cones, and fruit add a natural touch to any space! 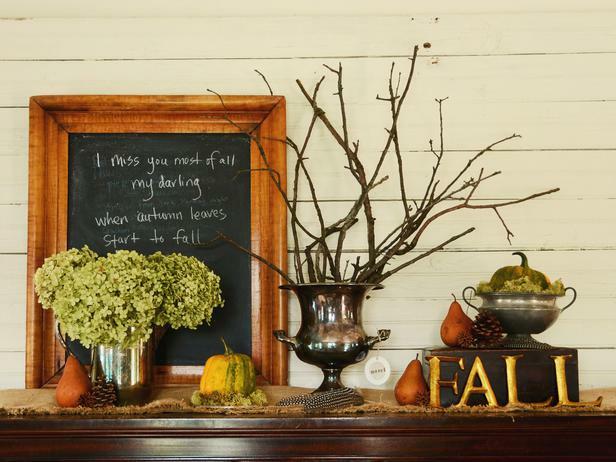 This chalkboard is perfect for the area above my mantle. Wouldn't it be cool to write a special message each day? This would keep things fresh and fun for my family to look forward to. What special message will you write for your family? The sticks are also such a great addition, and I am loving all the green and orange colors! ﻿﻿Is this cupcake/dessert pedestal amazing! 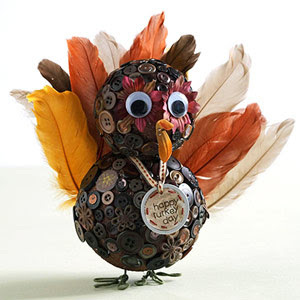 So rustic and chic, it would be a great centerpiece for a buffet style Thanksgiving! Anybody have any trees they need cut down? ﻿ I also found a few Thanksgiving crafts that are too cute not to create! ﻿﻿Who doesn't need a knitted turkey hat! 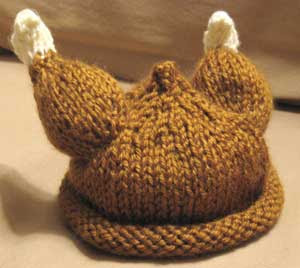 My needles are clicking with anticipation and my sister must wear this to her Thanksgiving at the cabin! I love that cupcake stand! 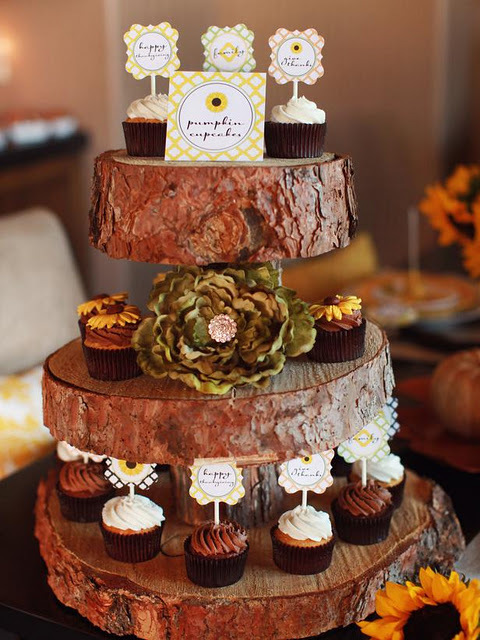 How cute for a woodland themed birthday party! I'm definitely making that cupcake stand! Thanks for visiting! Don't you just love it! A beautiful addition to any dessert! When I saw it I just had to post!